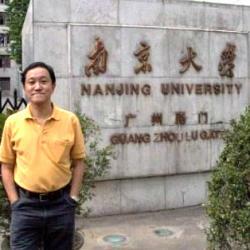 Being a Chinese-educated Singaporean, Teck Chuan always maintains strong interest in Chinese studies. He reads widely and seeks every opportunity to study Chinese language, culture and history. In year 2000, after spending 20 years in the Civil Service, he made the decisive move to pursue his passion in Chinese learning. For more than 5 years he immersed himself in Chinese studies, first with Beijing Normal University (北京师范大学) on Chinese Language and Literature. Upon graduation with Bachelor Degree in 2002 he further pursued Chinese Language and Literature from Nanjing University (南京大学) and obtained his Master degree in 2007. A year later he further secured the teaching Diploma from Confucius Institute, Nanyang Technological University. It enables him to be a specialist in the teaching of Chinese Language. For many years Teck Chuan taught Chinese in Singapore schools and educational institutions, such as Dunearn Secondary School, Jurong Primary School and Pei Hwa Presbyterian Primary School. He also worked in ACS Primary for some years as a Chinese tutor in Student Care Centre, where he helped students on Chinese and Higher Chinese. He is familiar with Singapore education policies and examination requirements. He is able to identify and tackle the common problems faced by students in learning Chinese Language. He has also taught students up to Junior College and International Baccalaureate level. Teck Chuan also enjoys good referral from non-Chinese expatriate. 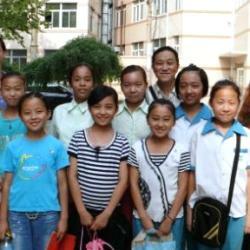 He teaches them conversational Mandarin and tutors their children in IB Chinese. He is an experienced tutor in Conversational Mandarin for working adults. He helps students to communicate in Mandarin with their friends, colleagues and business associates. Teck Chuan always aims to make Chinese Language relevant to the daily lives of his students. He is able to adapt his teaching methods according to the language capabilities of his students. For students who are weak in Chinese Language, he adopts innovative and interesting methods, such as the use of Chinese songs, games, audio and visual aids to influence students to pick up and appreciate the language.